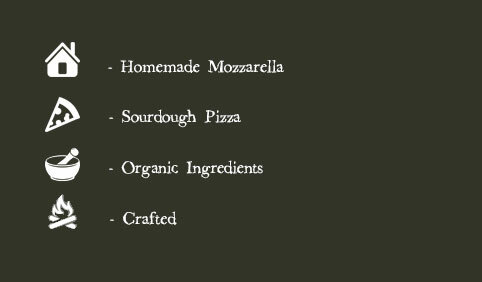 Our sourdough pizza’s are made according to authentic italian recipe with double (00) flour and San Marzano tomatoes. The pizza is at the right temperature baked in a traditional wood oven created with heat-resistant parts and volcanic earth from Naples. We use fresh and homemade products, buffalo mozzarella, ricotta and blue cheese. We just wanted to try to make the best pizza that Amsterdam had ever seen and of course tasted. We know that is not an easy challenge, but what we try every day to bring to the table is a product of excellent quality products for both preparation method. For this reason we have carefully chosen materials and manufacturing systems. 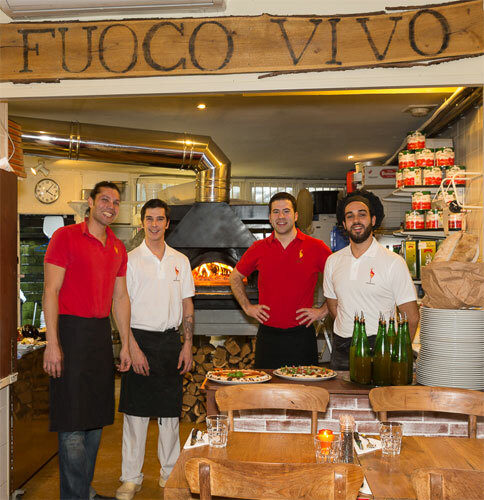 The original wood-burning oven, built brick by brick from an Italian company that handed down for three generations the art, capable of withstanding high temperatures up to 1200°, unthinkable with prefabricated ovens, can give a unique cooking the pizza. The mixer with mechanical arms, restored in 2009, after more than 40 years, with his natural movement makes the dough without warming and eros in this way without accelerating the natural process of fermentation. Try to sit by the kitchen for a great view of the meal prep for the best pizza in Amsterdam!! De beste houtoven pizza van amsterdam! echt Italiaans smaak! Alles vers, bedenning was top!! ik kom zeker terug!! grazie!! Can’t say enough how much we enjoyed our meal at your restaurant while in Amsterdam. Well worth the visit if you find yourself in Amsterdam and want a great Italian style pizza.